It is important to be as fit as possible before undergoing a total knee replacement. This will make your recovery much faster and easier. 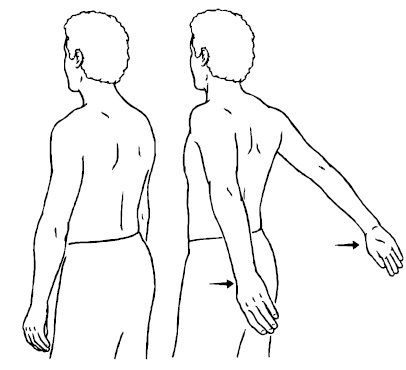 The following exercises should be done now and continue until your surgery. You should be able to do them in 15-20 minutes and it is recommended that you do them twice each day. Remember that you need to strengthen your entire body, not just your leg. It is very important that you strengthen your arms by doing chair push-ups because you will be relying on your arms to help you get in and out of bed, in and out of a chair, walk, and to do your exercises after surgery. Do not do any exercises that are too painful! Stop any exercise that is too painful. Perform these exercises 3 times a day (if possible). With leg relaxed, gently flex your foot and point your toes (bend and straighten the ankle). Repeat 10 times (each leg), every hour if possible. Lie on your back, keep your knee straight. 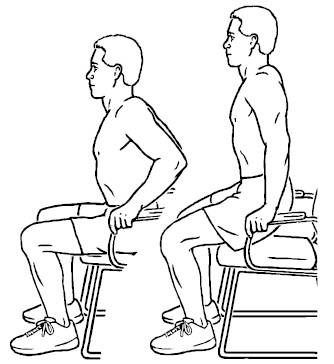 Push the back of your knee into the bed while tightening the muscle on the front of your thigh. Hold for 5 seconds, and then relax. Do NOT hold your breath. Repeat 10 times (each leg), 3 times per day. Lie on your back, bend your knee by sliding your heel toward your bottom, and then straighten the leg. Bend your knee to a position that you can tolerate. Repeat 10 times (each leg), 3 times per day. Tense muscles and squeeze buttocks. Keep leg and buttock flat on the floor. Hold 5 seconds. Repeat 10 times (each leg), 3 times per day. Place a towel roll or pillow under your knee. Raise your foot off the bed surface by straightening your knee. Do not raise your thigh off the towel roll or pillow. Repeat 10 times (each leg), 3 times per day. Lie on back Slide leg out to the side and return to the center. Keep toes pointed up and knees straight. Hold 2 – 3 seconds, slowly relax. Repeat 10 times (each leg), 3 times per day. Do these exercises to build upper body strength. This will help you when you use a walker or crutches after surgery. Be sure to exercise both arms. Your physical therapist or doctor may also suggest you use light weights or do other exercises. With right palm up, bend wrist up. Repeat 20 times on each arm, 3 times per day. With hands on armrests, push up from chair. Use legs as much as necessary. Return slowly. Repeat 20 times, 3 times per day. 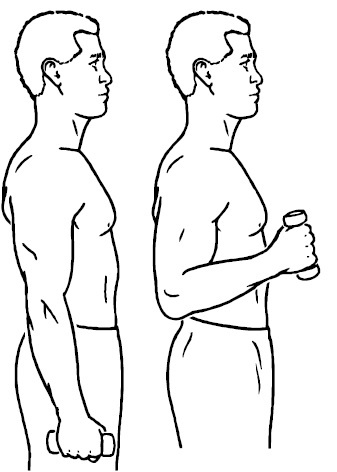 Bring arms straight back as far as possible without pain. 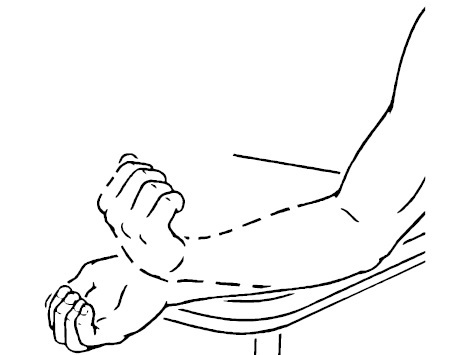 With right arm straight, thumb forward, hold a light hand weight or can, bend elbow. Return slowly. Repeat 20 times each arm, 3 times per day. With arms slightly wider apart than shoulder width, and feet 8-10 inches from wall, gently lean body toward wall. "Very professional and private clinic. Excellent explanation of my problem and made me understand where all my problems were coming from. It was great to receive such pro-active management of my care. Very effective treatment with good outcome. Highly recommend this clinic." Copyright © 2014 Saksham Physio / All rights reserved.